Ellen Johnson-Sirleaf graduated from the College of West Africa (Monrovia), and received a B.b.c in Accounting at Madison Business College in Wisconsin, USA in 1964. She later received an economics diploma from the University of Colorado in 1970, and a Master of Public Administration from Harvard University in 1971. In 1972 Ellen Johnson Sirleaf was appointed the Assistant Minister of Finance before later becoming Minister of Finance. Imprisoned and forced to flee Liberia in the 1980's, Ellen worked for several years as an economist with Citibank and the World Bank before her return proper to her native country in 1997. In 1997 Ellen ran against President Charles Taylor during the presidential elections but attained only 10% of the votes. She campaigned for the removal of Charles Taylor from office, playing an active and supportive role in the transitional government. With Taylor's departure, she took over the leadership of the Unity Party. 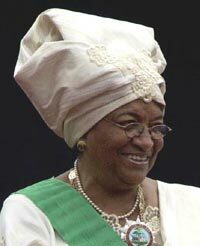 On the 23rd November 2005, the National Elections Commission of Liberia confirmed that Ellen Johnson-Sirleaf had been elected President of Liberia by a margin of almost 20% of the vote. 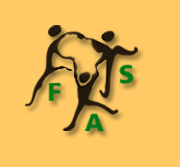 International and domestic observers declared the vote to be free, fair, and transparent. Her inauguration took place on January 16, 2006. Throughout her campaign, Ellen said that if she won it would encourage women across Africa to seek high political office. ‘And now, before I close, I would like to talk to the women - the women of Liberia, the women of Africa, and the women of the world. Until a few decades ago, Liberian women endured the injustice of being treated as second-class citizens. During the years of our civil war, they bore the brunt of inhumanity and terror. They were conscripted into war, gang raped at will, forced into domestic slavery. Yet, it is the women who laboured and advocated for peace throughout our region. It is therefore not surprising that during the period of our elections, Liberian women were galvanized - and demonstrated unmatched passion, enthusiasm, and support for my candidacy. They stood with me; they defended me; they worked with me; they prayed for me. The same can be said for the women throughout Africa. I want to here and now, gratefully acknowledge the powerful voice of women of all walks of life.